Does the thought of selling your home seem overwhelming? 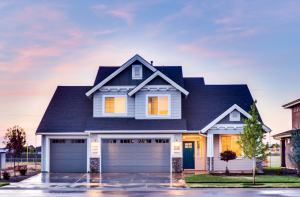 Whether it be the deep cleaning, finishing long overdue projects, or finally getting around to some much needed repairs, selling your home can feel daunting. Not all of you may be DIY warriors or have the time to get your house marketable on your own. Fear not! There are professional cleaners, painters, stagers, and movers you can call upon. Either way, it’s important to keep a few dos and don’ts in mind. Do call a local real estate agent! This should be your starting point. They will help steer you in the right direction and advise you on exactly what you should and shouldn’t spend your time and money on to get your home ready. Don’t try to list your home yourself. This is a good way to get very few showings of your home and possibly wind up in litigation later. Do give your interior a fresh coat of neutral paint. As much as your 6 year old daughter loves her Pepto-Bismol pink walls, they can turn buyers away. Don’t get caught up in giving every room a colorful theme, just ask your agent or paint expert at your local paint store for a good color to paint the entire house. Do replace your flooring and carpets if you have several different kinds throughout the home. Several different kinds of flooring can make a home feel chopped up. Consider new, neutral, non-shag carpet in all bedrooms and wood, laminate, or porcelain tile flooring in all common areas, including bathrooms. Less variation in flooring creates a flow between rooms and can make the home feel larger inside. Do remove your aging valences and wallpaper. Nothing screams dated more than a tacky valence teeming with dust colonies galore! No window coverings are better than old, dated window coverings. Don’t let the current wallpaper trend lead you to believe that the wallpaper you installed in 1984 is automatically on trend again. Do de-clutter each and every room. Clearing off your kitchen and bathroom counters is a must! Don’t stuff everything behind closed doors, either. Potential buyers will open doors, drawers, and look in closets because they want to see how the space is utilized. I once previewed a house where the buyers shoved as much stuff as they could under their bed, and the shoes and trash sticking out from underneath were the first thing I noticed. Do re-mulch your garden beds. Mulch is incredibly inexpensive and a little bit goes a long way. Don’t overthink landscaping – just make sure the weeds are pulled, dead trees are cut down, and everything is well groomed. Do consider doing basic upgrades to bathrooms and kitchens if necessary, but don’t go overboard and price yourself out of your neighborhood. Some upgrades may be too high end for your neighborhood and you’ll never get a return your investment. Do get a home inspection done prior to listing if your realtor suggests it. This way you can repair the things you can afford to and are willing to repair and you won’t be in for any ugly surprises once you’re already in escrow. This will show potential buyers that you’re serious about your price and not willing to entertain offers full of lengthy lists of repair requests. It’s important to remember that you’re selling a feeling. When buyers come through and your yard is overgrown, the home is stuffy, and every room is a different color with turquoise carpets to boot, their only feeling is “run! !” You want to attract the most buyers possible by giving them a fresh, blank slate to envision themselves making their own. To see how much your home is worth, click here.